I just wanted to pause and wish everyone out there a Merry Christmas. I pray it is a blessed and peaceful time for you and your family. Recent events involving some friends of mine have driven home just how important it is to keep proper perspective on life and to remember all that is truly important. Hold your loved ones tight this Christmas and thank God for every day you have them. I've had one game camera out for the last month in what I call "Location 1." This is the area where a woman told me she witnessed a large cat, matching the description of a cougar, crossing the road. This incident allegedly took place over a year ago now. I've had a camera in the woods adjacent to this spot off and on since that time. I had the camera in a slightly different location this time around. The camera was mounted to a tree looking over a flat open spot that has a game trail running through it. 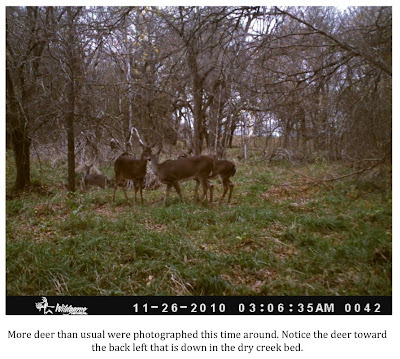 The dry creek bed that runs through the area is at the back of the open area from the point of view of the camera. You can't really see the creek, as it drops away to a depth of about three feet, but you can see in several shots animals coming up and out of the creek or eye-shine just above the edge of the bank. I managed to capture a ton of photos of white-tailed deer (Odocoileus virginianus). The number of deer in the area, according to this photo census, seems to have increased greatly. This could be due to hunting pressure the deer are experiencing now. This area is within the city limits where hunting is not allowed. 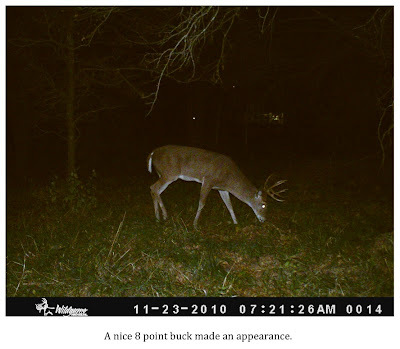 One thing that makes me think this could be true is the presence of a couple of nice bucks. In the past, I've only managed to get shots of doe in this area. It could also be that the number of deer in the area has remained constant and I only got more photos due to the camera being in a better location. Whatever the case, I got lots of great shots of deer. I got one great shot of a pair of coyotes (Canis latrans) on the run as they come up out of the creek toward the general location of the camera. This is the first time I've managed to get a shot of both of these coyotes. 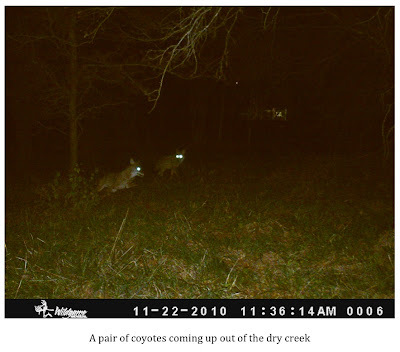 The last time around I got two different shots of coyotes. I thought they were of two different individuals but could not be sure. This shot confirms there are at least two coyotes roaming this area. Last year I got a shot of a coyote sniffing a tree on which I had applied scent-bait that was more brownish-red in color than either of these two. I have not seen him for quite a while now. I also got an interesting shot of a glowing white object close to the camera. It is sort of flower-shaped and appears bright white as the flash of the camera washed out whatever natural color it is. Is this one of those mysterious glowing orbs I've heard so much about? 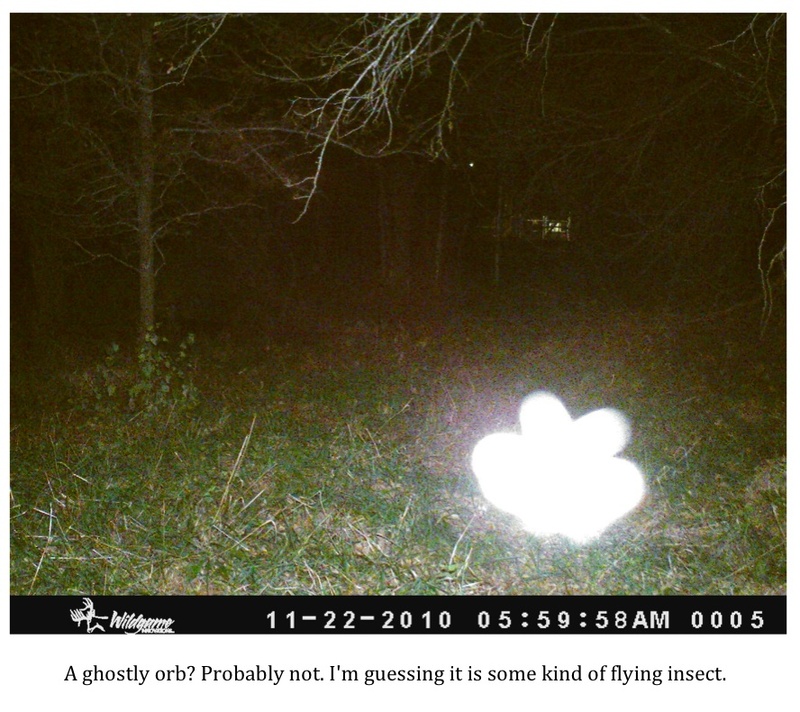 Nah, I'm guessing it is some sort of insect, a moth perhaps, that fluttered too close to the camera. It is kind of cool looking though. So, to wrap up, I got some nice shots but didn't get anything unusual. That is not unexpected. I'm sort of biding my time until hunting season is over here in Texas and then plan on deploying at least four cameras in heavily wooded areas of SE Texas in the hopes of capturing a wider variety of animals. I will fill you in on those details soon. I can't tell you how much I enjoy camera-trapping. I find myself sitting in my house at night thinking about the cameras out in the field. I wonder what has walked by them as they have kept their vigil 24/7. I get genuinely excited when I go to pull the memory cards from these cameras. I imagine that anticipation will only grow as I place the cameras in locations where creatures like black panthers and sasquatches have been reported. Ghost Bird, the documentary about the search for the Ivory-billed woodpecker in Arkansas, is now available on DVD. 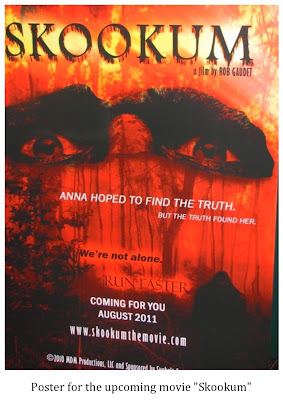 I had the privilege of screening the film last May and found it to be very well done. You can read my review of the movie here. The film does not try to convince anyone that the Ivory-billed woodpecker does or does not exist; rather, it is about hope. The hopes of the people of Brinkley, Arkansas that the rediscovery of this species will help revive their dying town, the hopes of the Cornell researchers that they will soon be able to confirm the wildlife discovery of the century, and the hope of redemption for all of us who, while we loved the forests and wild places of our continent, failed to be good stewards of the incredible resources with which we were blessed. I doubt you will be able to pick up a copy of this film at your local video store but you can order it here. If you have a birder in your family it would make a fantastic Christmas present. I highly recommend it. Today marks the two-year anniversary of the Texas Cryptid Hunter site. 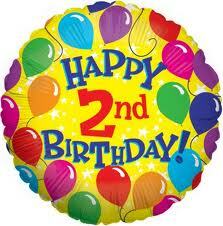 It is hard for me to believe that two years have passed since I started writing the blog. It is just one more reminder of how quickly time slips by all of us. I continue to enjoy the blog and the freedom it gives me to express my thoughts on various cryptozoological topics. It started on, more or less, a whim. I knew there was great interest among the general public about bigfoot and other crypids even if that interest was not openly discussed. I hoped to fill a niche by providing news on such topics as well as level-headed analysis of evidence and reports. I hope that is what this blog provides. As you can see the growth has been substantial. The one negative is that the average visit length has dropped. This, I'm told, is to be expected to some degree with more people finding the site by accident as the result of searches on various topics. It is exciting and humbling to see the growth. I even had my first hoaxer attempt to trick me with some bogus photos. I guess that is a sign I've made it when I have my very own hoaxer. In the past year I've added a Texas Cryptid Hunter Facebook page. At the time of this writing, the page had 139 people who "liked" it and check it out on a regular basis. I will continue to post updates there as well as photo albums from some of my outings. So, thanks to all of you who stop by from time to time. I hope you will continue to do so. Please feel free to leave comments about the posts or email me with anything that is on your mind. I always enjoy hearing from readers. Researchers from the National Evolutionary Synthesis Center (NESCent) in Durham, North Carolina looked at, literally, decades of data on birth and death rates for seven different primate species. 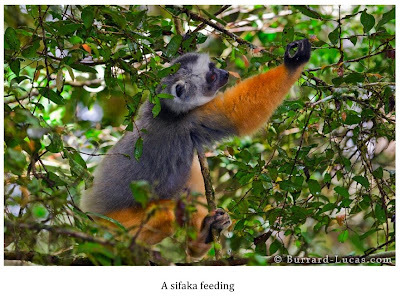 The species examined were muriqui monkeys and capuchin monkeys in Central and South America, yellow baboons, blue monkeys, chimpanzees, and gorillas from the African Continent, and sifakas, a type of lemur, in Madagascar. The collection of this much data was a monumental effort. Seven different research teams working around the world monitored the births, lives, and deaths of thousands of individual daily for more than 25 years. The researchers used a new database developed by the NESCent, to compile and cross-reference the data in an effort to find similarities between the species. "Wild animals deal with a world that is unpredictable from year to year," said the lead author of the study, Bill Morris. The Duke biologist added, "The weather can change a lot; there can be years with plenty of food and years of famine." The 25 years of data covered both good years and bad and seems to have run long enough to make the data scientifically valid. What the researchers found was interesting. Year to year survival rates of primates proved to be more stable than survival rates of other animals. 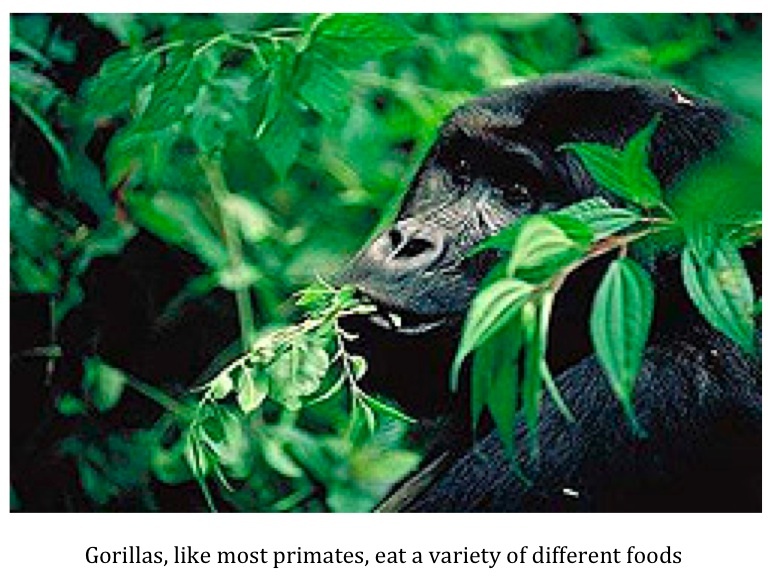 The primate data was compared to that of two-dozen species of birds, reptiles, and mammals. "For one thing, they're social," said Strier. The fact that primates live in groups allows them to share information with each other. This shared information allows them to be more effective in locating sources of food and water during lean times. Could the study have any relevance to the sasquatch? Possibly. The fact is that nobody really knows how sasquatches live, socialize, or eat; however, we do have some anecdotal witness reports that could allow for educated guesses. The first trait mentioned that the study points to as having given primates an advantage in surviving environmental ups and downs is their social nature. Multiple animals working cooperatively to spread out, scout, and forage over a large area makes finding suitable food and water much easier. I will be the first to admit that most sasquatch sightings are of a single individual. There are; however, sightings of multiple animals reported. 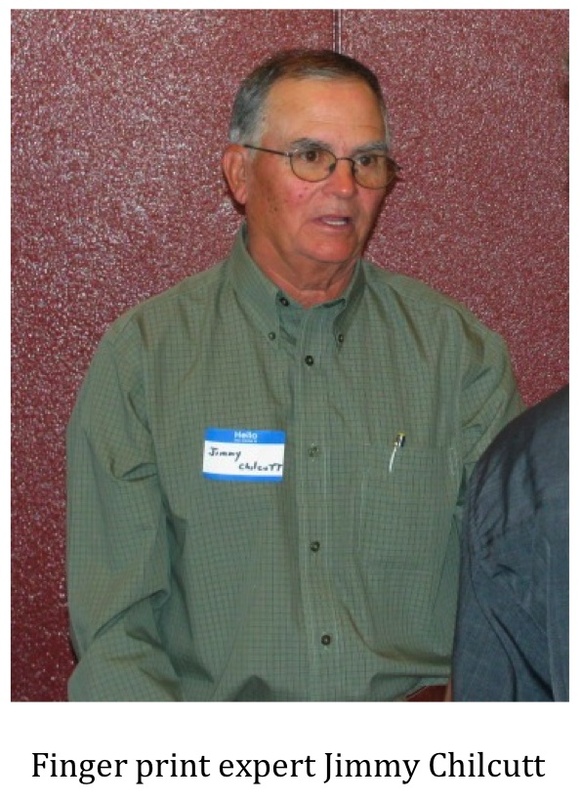 Pairs, family units, and even twenty plus individuals (see "The Tale of Muchalat Harry" in the "Sasquatch Classics" archive) have been reported. The fact is we just don't know how sasquatches interact. Do they spread out during the day and "go home" at night? 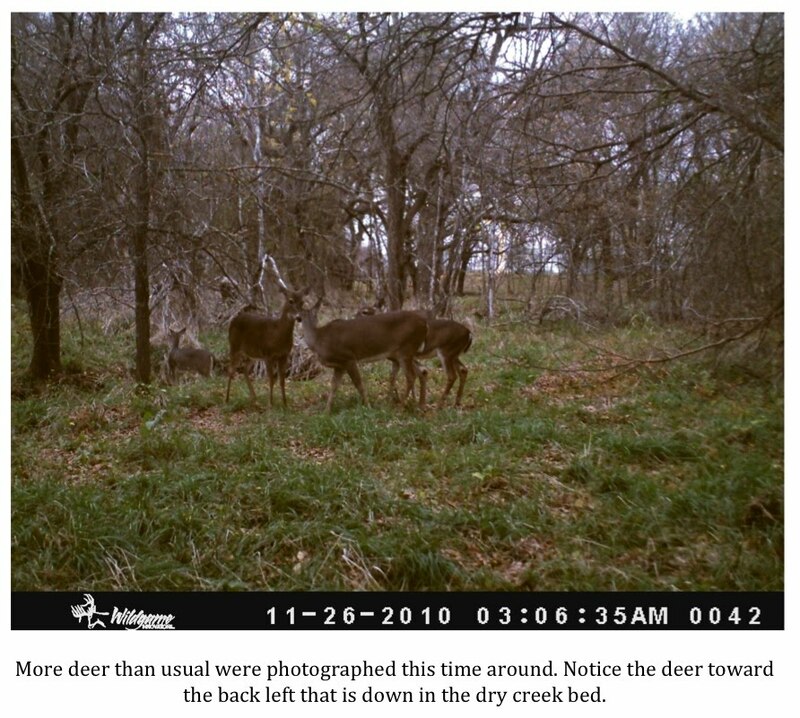 Do the females and/or young stay in one general area while males hunt/forage? We just don't know. The fact that the number of sightings of single animals dwarfs the number of reports featuring multiple animals would point to the sasquatch being a mostly solitary animal. But who is to say that when an individual animal is sighted it isn't out scouting or foraging for it's family unit? 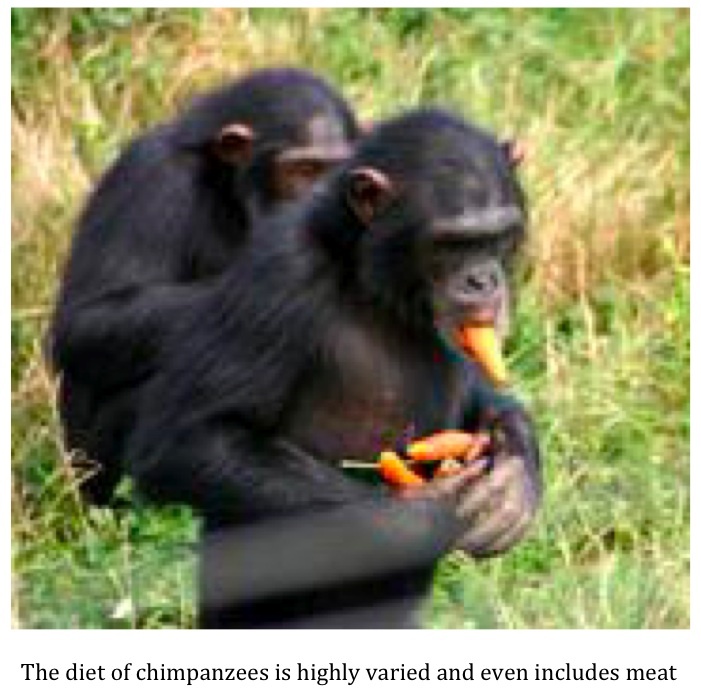 Honestly, I was more interested in reading about how the broad diet of primates helped them survive tough times. It makes sense if you think about it. The more varied the diet of a given animal the better the chances said animal will find something to sustain itself. Specialization in diet is one reason species like the giant panda of China and the koala of Australia find themselves in trouble. It has even worked against humans in the past. For a prime example of how a specialized way of life, including diet, negatively impacted a people one need look no farther than the strategy used by the military during the Indian wars fought between the U.S. Government and the Native Americans that inhabited the Great Plains of North America in the mid to late 1800s. These tribes were expert horsemen and warriors. They were highly mobile, intelligent, and fierce. They proved to be more than a match for the U.S. Army. They had one weakness, however. That weakness was their near total dependence on their horses and the buffalo (American bison to be truly accurate). U.S. military strategists, after suffering several humiliating defeats, like the Battle of Little Big Horn, decided to do more than just engage the tribes directly. They would remove the very things these tribes needed for survival; their horses and the buffalo. Army scouts began swooping down on Indian encampments and, instead of engaging the braves, shot all the horses. 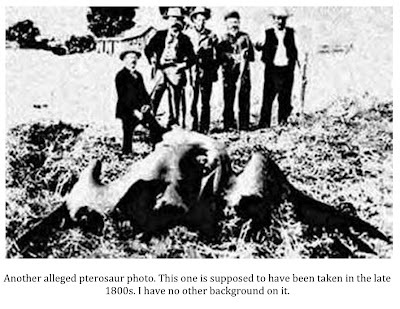 Meanwhile, buffalo hunters were hired to kill as many buffalo as possible. An all out slaughter ensued. It wasn't long before fierce tribes like the Kiowa, Comanche, and Sioux were brought to the point of starvation. In a shockingly short amount of time the great horse culture of the plains was gone and the American bison was on the brink of extinction. Specialization helped the Native Americans of the Great Plains become very successful for hundreds of years but it proved to be their undoing in the end. Such is the possible fate of species that are overly dependent on one food source. If the food source disappears, for whatever reason, the species is likely to disappear as well. It is encouraging that this study shows most primates are not overly dependent on one food source. It has long been theorized that the sasquatch is omnivorous and has a diet similar to that of bears. If so, they may be doing just fine as the river bottoms, forests, and swamps of Texas, Louisiana, Arkansas, and Oklahoma are incredibly rich in food sources. Populations of black bear have exploded in Oklahoma, Arkansas, and Louisiana. The bears are beginning to make significant headway in East Texas as well. If the sasquatch does have a highly varied diet like that of black bears then the chances of the species surviving increase dramatically. Primates continue to surprise us with their intelligence and resilience. Each study that comes out seems to reveal something remarkable or validates claims about primates, particularly great apes, that were once deemed outlandish. If the sasquatch is indeed real then it is undoubtedly a primate (the debate over whether it is human or ape is one for another day). As such, it is among the most intelligent and resourceful creatures on the planet. This is good news if we are talking about the survival of the species. It is; however, going to make it that much tougher on the few who seek to document them. The more I look at this the more something just doesn't feel right. I'm having a hard time figuring how two such different accounts could be circulating regarding what type of cat was involved in this incident. Where did the claim of a black panther come from? 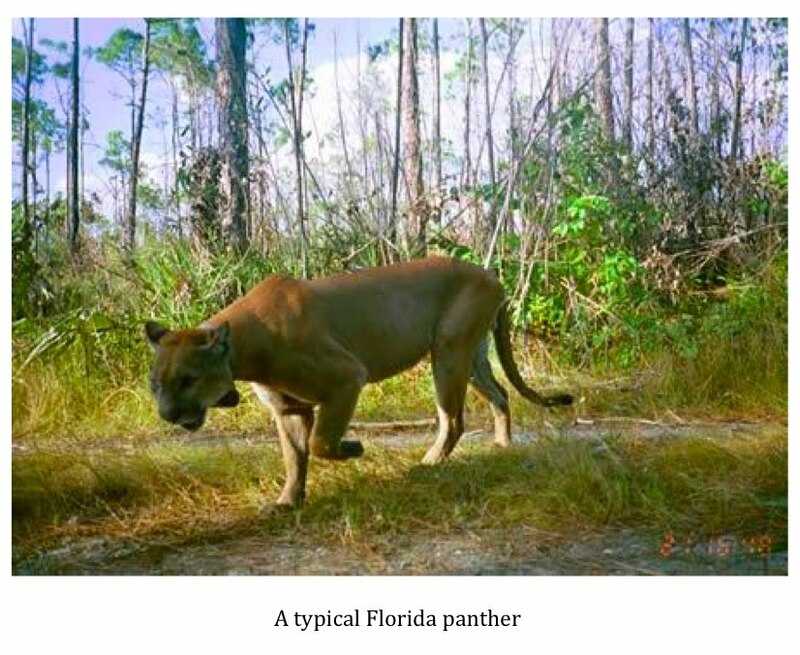 I've seen it in print but all the actual video I've seen of Frank Harmes giving his account refer to a tawny Florida panther. The print articles infer that Harmes said he saw a black panther but I notice he is not directly quoted as saying this. Watching that video where Mr. Harmes shows the holes the big cat's claws allegedly made in his pants leg makes me a bit uneasy as well. Do the holes seem just a bit too perfect to anyone else? I hope I'm off base here and it is only my gut feeling but something feels fishy about this one. 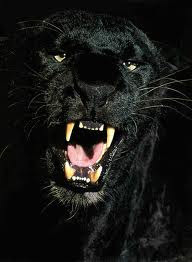 By now many of you may have heard that an Alabama man was attacked by a black panther in rural Marshall County. If true, this would be a monumental story in wildlife circles. As you all know, wildlife officials flatly deny the existence of any sort of native melanistic big cats. But is this story true? Was this man attacked by a black panther? UNION GROVE, Ala. - An Alabama man says he's recovering after being attacked by a panther near his Marshall County home. 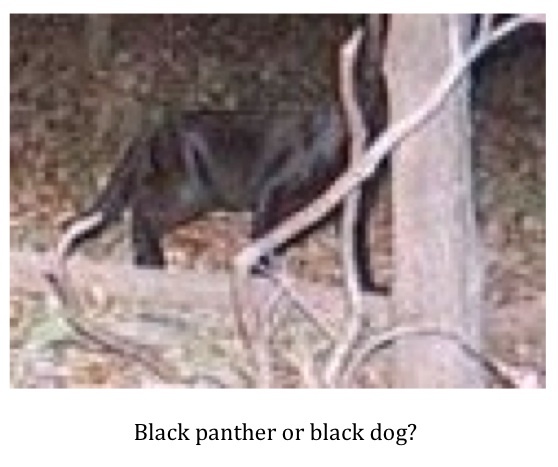 Frank Harmes says he was walking his dog in a cove behind his home near Morgan City when he heard something behind him and turned to see a black panther. Harmes says he moved to try to scare the panther away, but instead it attacked and clawed his leg. He says he stabbed the animal twice with a knife and it ran away. Residents of the area have reported seeing panthers in the past, saying they sometimes come out looking for food. Harmes says he will undergo a series of rabies shots because of the attack. 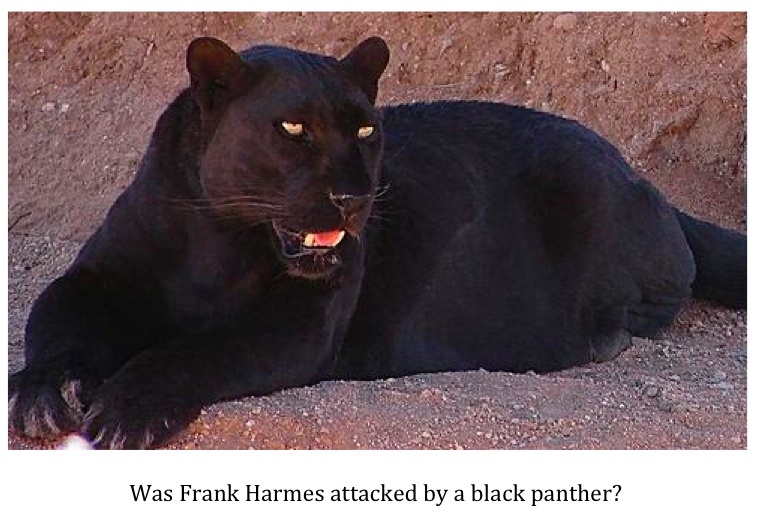 In the article it is clearly stated that Frank Harmes saw, and was attacked by, a black panther. 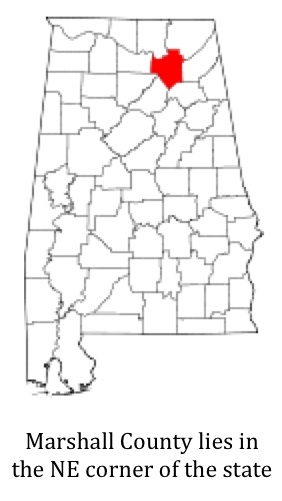 The AP article shows Alabama television station WHNT as its source. A quick check of the WHNT site does say a black panther was the attacker. The story doesn't end there, however, as there are conflicting reports out there as to the color of the big cat in question. Television station WSFA covered the story and reports a tawny colored panther was the culprit. In fact, they quote the victim, Frank Harmes directly. According to WSFA, Harmes said, "It was a Florida panther. The tan ones that have white spots around the whiskers." The WSFA article said that neighbors backed up the claim that there are cougars in the area. Douglas Mason, who lives in the area said he saw a tan cougar on his back porch a year ago. Interestingly, Mason added, "There was a black one with it and it was eating cat food, too." A third Alabama television station , WKRG, documents the incident briefly with a short article that says Harmes "turned to see a black panther." So what is the deal here? Was it a black panther or a tawny colored cat? How can Frank Harmes be quoted as saying the animal that attacked him was a tawny colored Florida panther and also be quoted as saying it was a black panther? I located a video at, of all places, the Weather Channel website. It features Frank Harmes telling his story. At no point does he mention the cat that attacked him being black. It seems odd to me that he would not mention that detail. The video report does feature a grayish looking cougar caught on a game camera. According to the date visible on the picture it was taken back in 2006. 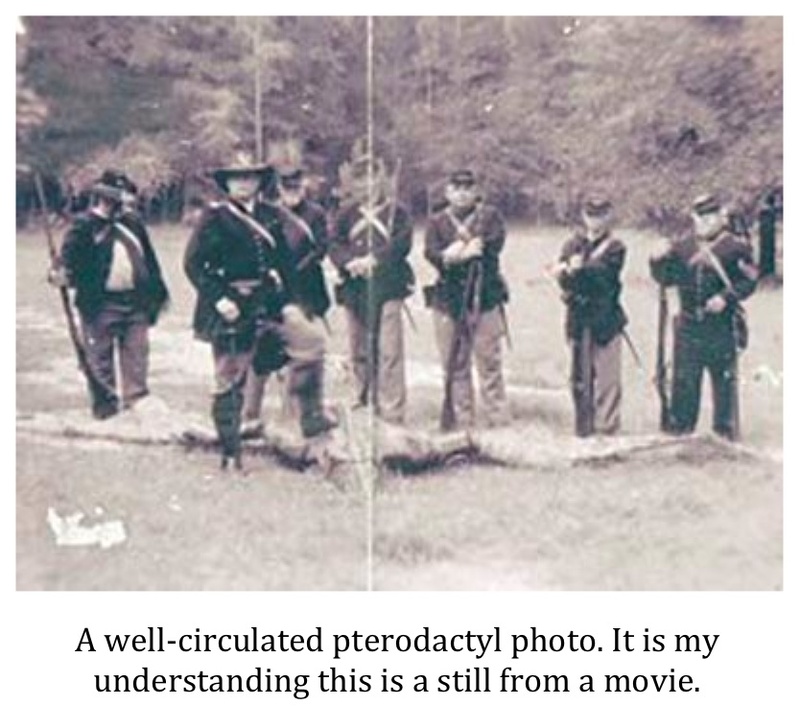 The narrator says the photo was taken in the same area where Mr. Harmes had his confrontation. This is an interesting story regardless of the color of the cat involved for various reasons. 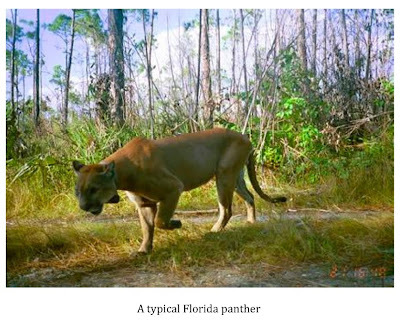 A Florida panther (Puma concolor coryi) in Alabama would be big news in wildlife circles as these cats are critically endangered. 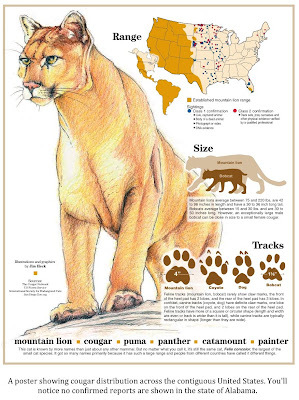 Even if it was the more commonly distributed North American mountain lion (Puma concolor couguar) it would be news. 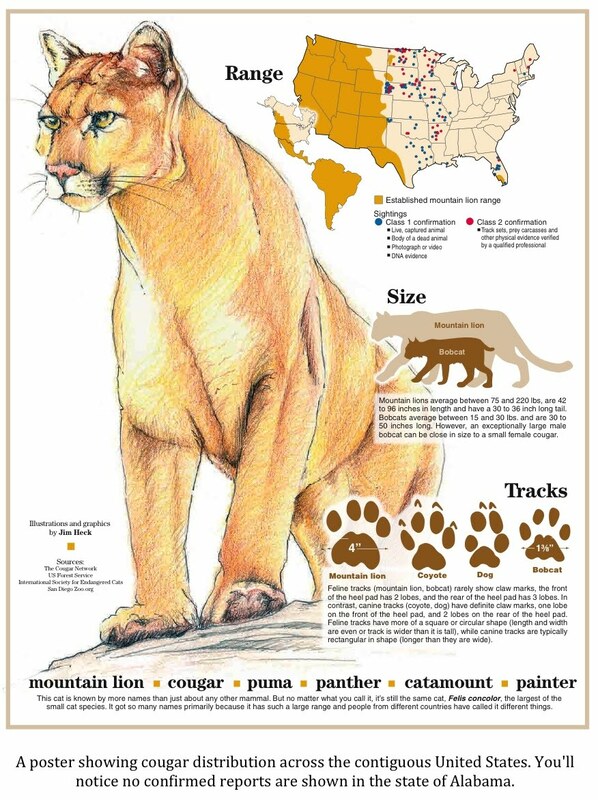 Like Texas officials, Alabama wildlife personnel are commonly quoted as saying these big cats are not present in their state. I can hear the "it's an escaped pet" line being spoken already. If it turns out to be a wild cougar it could point to a breeding population in the state. Again, that would be big news. If it truly was a large melanistic cat then the story is huge for obvious reasons. David-Australia questions “what is meant by the term “Black Panther” in North America”?? In reality, Black Panthers continue to be a mystery to both veteran field researchers as well as state & federal wildlife officials who have been & are in constant denial of their presence for decades. Yet Black Panther sightings continue to generate intense interest with the American Public as well as the 40% of wildlife sceintists who actually believe “large black cats exceeding 50 pounds or more ARE definitely roaming various regions of the U.S”. A few BLACK cougars (pumas) have been caught on film in Central & South America. 1 Black adult Jaguar was caught on a trail camera in northern Mexico in October, 45 miles south of the Rio Grande River & the Texas Border. This was the 1st time a Black Jaguar was filmed so close to any U.S. Border…resulting in this question: Have Black jaguars moved into the U.S.?? and 2) Could black jaguars be mistaken for black cougar & be a “Black Panther”?? 23% of all big cat sightings reported to us in states east of the Mississippi River are of large BLACK CATS with estimated weights exceeding 65 pounds. 12-15% of witnesses are professionals with college/university backgrounds as teachers, while another 20% are trained observers with wildlife, forestry management or law enforcement backgrounds, meaning they are witnesses who know what animal they are seeing. Documented reports from the files of the Eastern Puma Research Network were featured on History Channel’s MonsterQuest Documentary Series in 2007. 1 primary report showed a large BLACK CAT, we referred to as a Black Panther, seen & filmed by a Pennsylvania deputy law enforcement officer in November 1978. 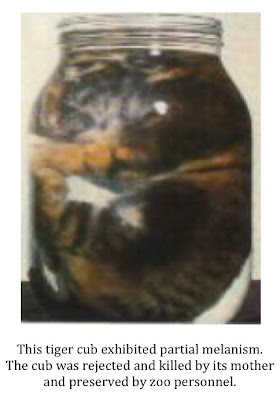 The set of 3 pictures were filmed from a distance of 1,000 feet, making it vitually impossible to see a ordinary housecat from such a great distance, as several skeptics & the PGC critics claimed. If you have a black housecat, try it for yourself with a camera…see if you can locate your cat at such a great distance.. I find this very interesting. I don't know where he gets his statistics or how accurate they may be but his organization is legitimate. Alabama wildlife officials are going to have to look for this cat. 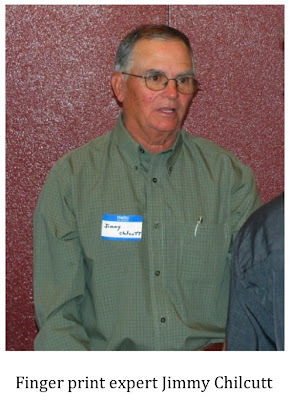 Frank Harmes claims to have stabbed it twice during the attack. If the animal was not mortally wounded it is going to be in a nasty state of mind and a danger to anyone that crosses it's path. If it is injured to the degree it cannot hunt effectively then the danger to humans increases exponentially. It seems to be a safe assumption that Frank Harmes had a run-in with a big cat of some kind. Was it black? According to Harmes on two different pieces of video that answer is no. Did he initially say the cat was black and change his mind? I don't know. 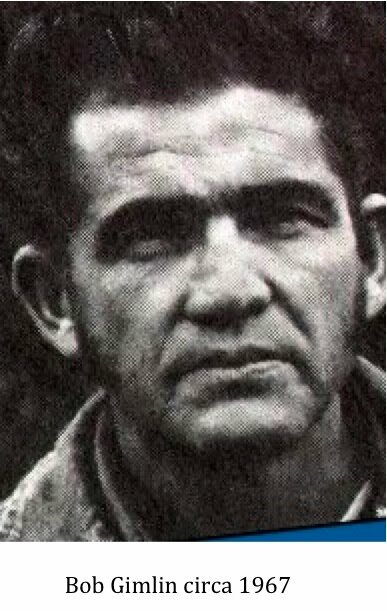 I just finished looking into an old sasquatch sighting that allegedly occurred in the winter of 1979 in Angelina County, Texas. Check out the witness's original statements and my report by visiting the TBRC website here. 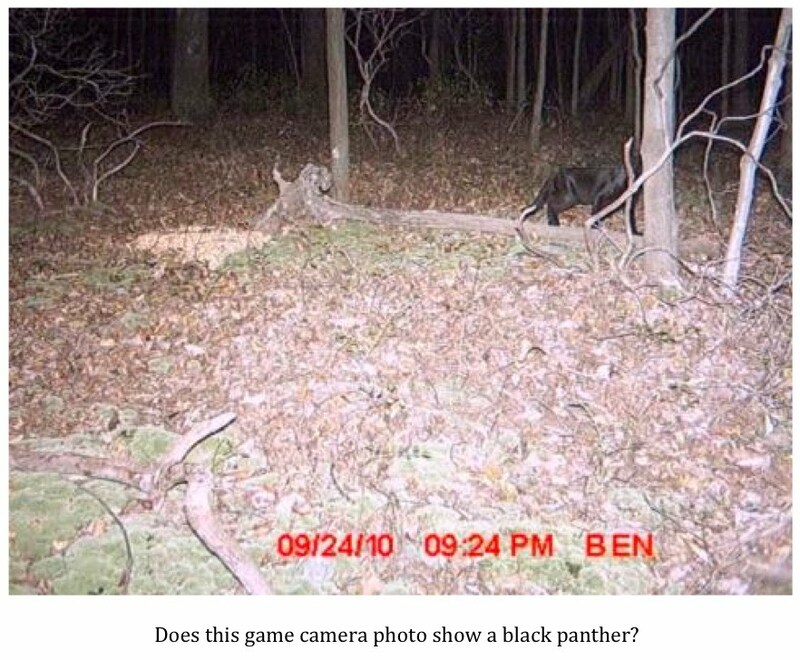 Has A Black Panther Been Photographed? 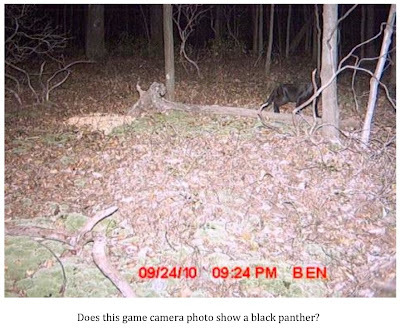 Is this a black panther? The photo above was entered in the Field & Stream game camera photo contest a while back (You can check out the contest at the Field & Stream link here). I have no background on the photo other than that. So, what do you think? Is this photographic evidence of a black panther or just a photo of somebody's black labrador retriever? 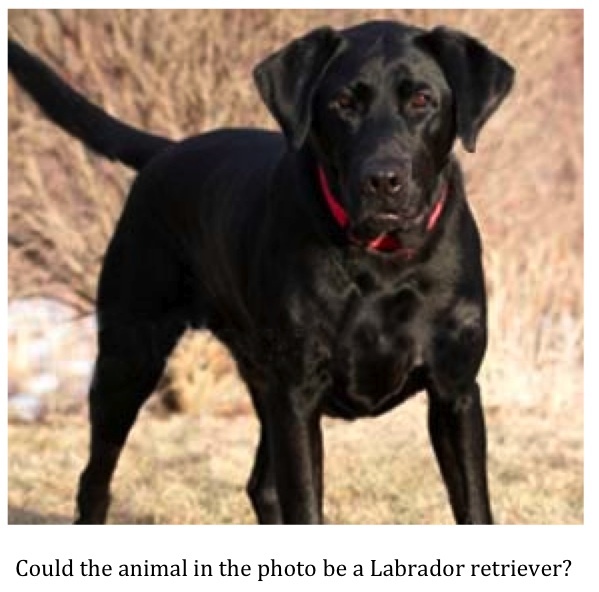 I'm leaning a bit toward it being a dog. This is due mostly to the length of the tail. It seems a bit short for a big cat. Of course the tail could be partially obscured in the photo so who knows? Scale is always tricky with something like this as well. The photo certainly gives the impression that this animal is pretty large but it is impossible to know for sure. I do not think, like many big cat photos, that this is just a large house cat. The coat is too short and glossy and the animal too thickly muscled. It is a shame the photo does not show the face of the animal. That would have gone a long way toward solving the mystery. 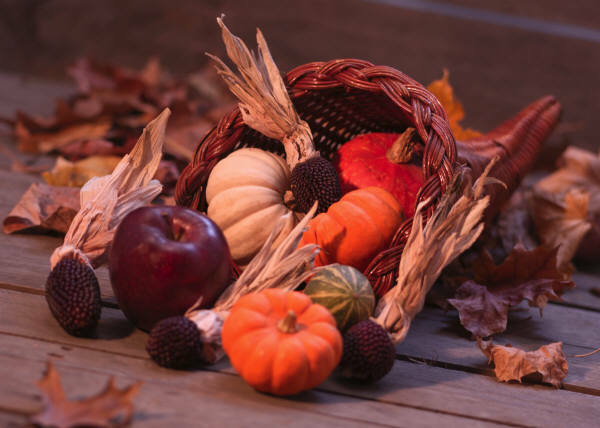 I wanted to take a moment and wish everyone a Happy Thanksgiving. May we all pause and give thanks for our many blessings. Even those of us in the midst of difficulties have much for which to be grateful. One ostensibly extinct animal that I'm very interested in is the Tasmanian tiger, or thylacine (Thylacinus cynocephalus), an apex marsupial predator (Figure 1). As indicated by the name, the species lived on the island of Tasmania, but it was also found on the Australian mainland, although it appears that the species was approaching extinction on the continent prior to European settlement. Personally, I think a few still survive in the most remote reaches of Tasmania. 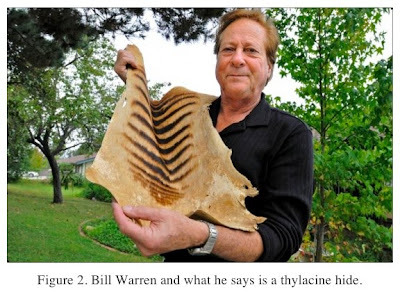 Recently a story came out about a guy, Bill Warren, who says he bought a thylacine pelt for $5 at a California yard sale. If true, it could be a very valuable remnant artifact of a tragically persecuted species (Figure 2). 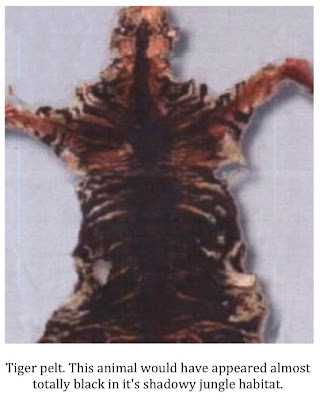 When I first saw the pictures of the find I was pretty excited, but the more I looked at the skin the more I wondered if it was something else. 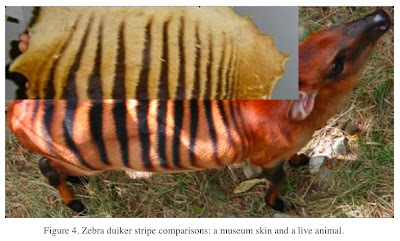 The folks at the Centre for Fortean Zoology and others suggested that the hide should be compared to that of a zebra duiker (Cephalophus zebra), a small (9-20 kg) antelope living in the dense forests of west Africa and one of the world’s most distinctively colored mammals (Figure 3). 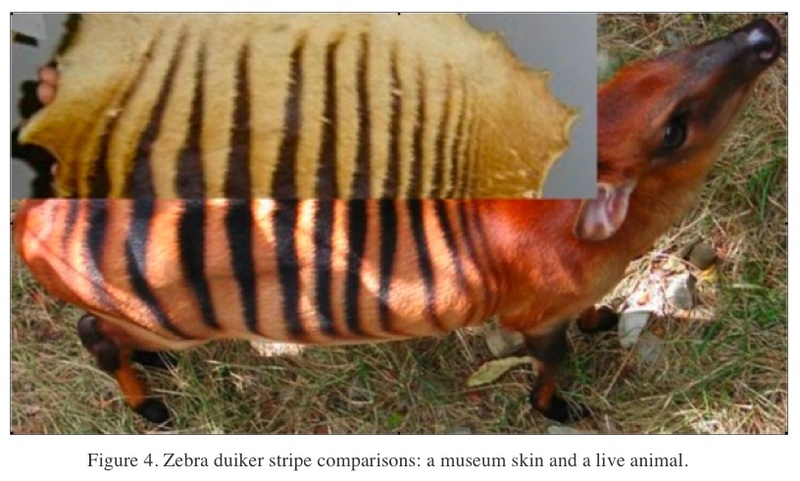 I attempted to match a museum zebra duiker skin to a photograph of a live zebra duiker to see how well they compared in terms of the striping patterns (Figure 4). Based on the color of the museum skin, it looks like it has undergone some foxing, but the stripes aligned closely, as would be expected. The primary possible difference is that the museum skin appears to have an extra stripe in the shoulder area. The mystery skin was also compared with the photograph of a live zebra duiker (Figure 5). Finally, the mystery skin is shown side by side with the museum skin (Figure 6). Figure 6. 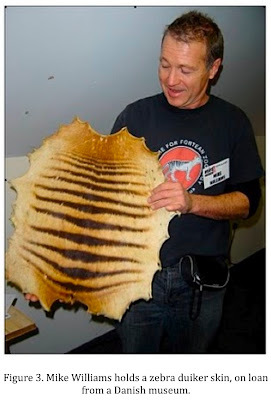 The mystery skin compared to a zebra duiker skin (right side of image). 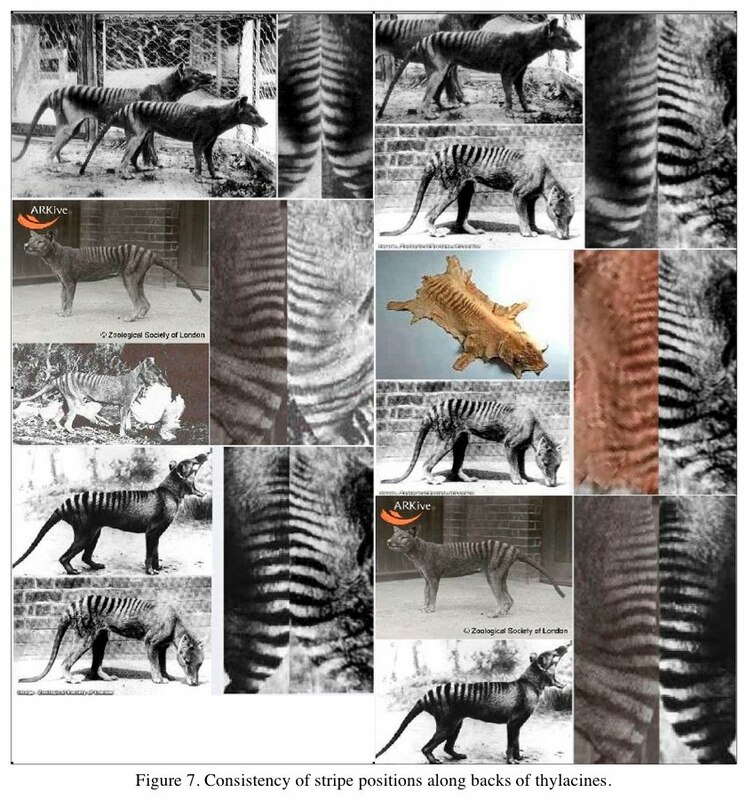 In each of these comparisons, in my opinion, the putative thylacine skin appeared to correlate closely with the zebra duiker museum skin and the photograph of a living zebra duiker, lending credence to suggestions that the skin in question is not that of a thylacine. A few years ago I was involved with trying to determine if the Emmerich photos taken in Tasmania were those of a thylacine. 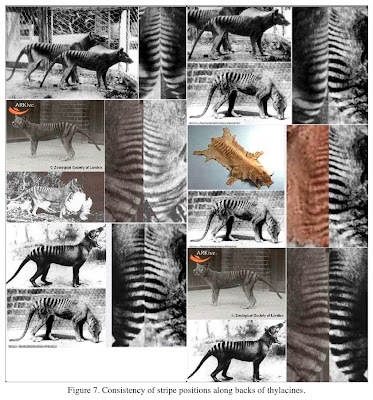 As part of that effort I examined patterns of thylacine stripes and observed that the initial position of stripes along the spine were very consistent, at least among the individual thylacine photographs available on the Internet (Figure 7). 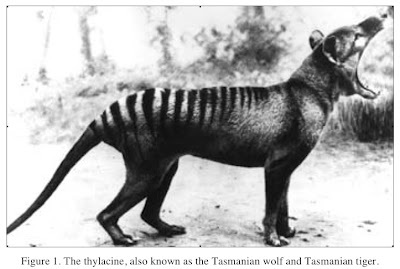 In attempts to perform a similar comparison, I was not able to achieve a satisfactory match between the mystery skin stripes and those available for examination in known thylacine photos. Based on stripe pattern comparisons alone, I’d have to posit that the skin purchased by Bill Warren is probably that of a zebra duiker rather than a thylacine. Another factor to consider is that of the tendency of thylacine stripes to stay bold across the rump and onto the tail, as opposed to the characteristic of zebra duiker stripes to become less prominent towards the tail. While skin from the tail area of the mystery skin is missing, if it is indeed that of a thylacine, what is present matches the expected pattern of the zebra duiker. The zebra duiker is classified as a threatened species. I’m sure any number of natural history museums would be happy to have it in their collection. If the skin is indeed that of a thylacine, interest will be even greater. Hopefully Mr. Warren will allow definitive testing to be conducted on the pelt. If nothing else, this whole episode has demonstrated that “cryptids” of various stripes can indeed pop up in unexpected places. The Black Panthers of Texas: An Impossibility? Reports of large black cats continue to roll in weekly from around the state. Most of the accounts come from people living in the woods and river bottoms of the Eastern portion of the state; however, some reports have come in from Central and West Texas as well. Science tells us that there is no such thing as a black panther. It simply doesn't exist. The only big cats that are sometimes melanistic are leopards and jaguars; neither of which are found in Texas. People claiming to have seen large black cats are told they have misidentified a known animal of some sort. Others are simply dismissed as hoaxers, nuts, or liars. Case closed. There is no such animal. Some who claim to have seen a black panther seethe at the condescending attitude of wildlife officials. Other witnesses simply shrug their shoulders, not caring what others think and secure in their knowledge of what they saw, and go on about their business. It seems this dilemma is not unique to Texas, however. Indigenous people in various parts of the world have claimed sightings of large black cats for generations. Government and wildlife officials in these locales have taken much the same position as officials in the U.S. That is, with the exception of jaguars and leopards, there are no large black cats roaming the mountains, jungles, or plains of the planet. Native people who see these animals are dismissed as uneducated, superstitious, mistaken, or victims of mass hysteria. The serval is medium-sized cat distributed widely across Africa south of the Sahara Desert. They are spotted cats with large ears. Their coats appear a bit cheetah-like. For decades locals living in the mountainous regions of Kenya claimed to be seeing black servals. These reports were not taken seriously until fairly recently. It has now been documented that melanistic servals do exist. They are confined almost exclusively to elevations higher than 3,000 feet. It is theorized that the black coloration is an adaptation to help conserve body heat in these higher elevations. 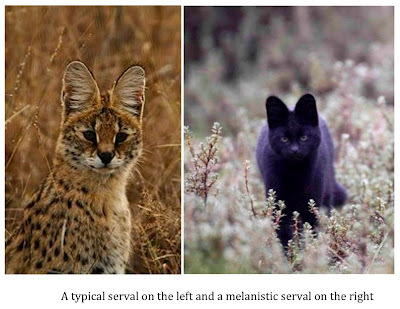 As servals hunt almost exclusively at night, another theory is that the melanism is becoming more common as an adaptation to their nocturnalism. 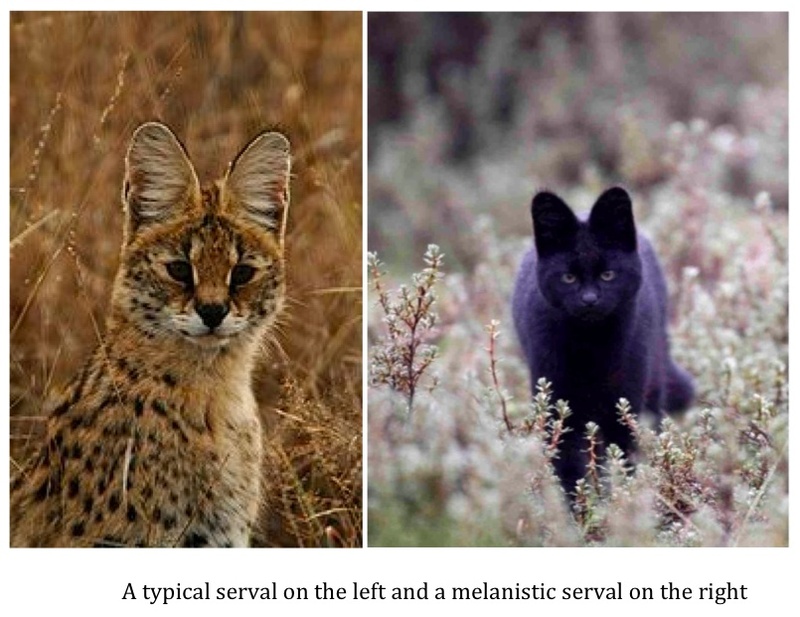 I don't buy into this theory much as servals found in lower elevations are nocturnal as well and do not exhibit melanism. The point is that servals can be black. The indigenous people were right all along. Some would say the melanistic serval is just an anomaly. Other than jaguars and leopards...and now servals, there are no melanistic big cats. "I remember perfectly well that the body of the animal was lying in the low bush jungle about twenty yards south of the road, and we dismounted to go and look at it. It was a full-sized tiger, and the skin was black or very dark brown, so that the stripes showed rather a darker black in the sunlight, just as the spots are visible on the skin of a black leopard. I was young and inexperienced, but Captain Swatman, who was in charge of the Government elephant kheddas, and Captain Hore (afterwards Lord Ruthven), of the 25th N.I, were well-known sportsmen, and had each of them killed many tigers. No doubt was expressed about the animal being a black tiger..."
"I have also the opportunity of adding the portrait of an extraordinary Tyger [sic], shot a few months ago by the Nairs (a group of Hindu warriors) in this neighborhood, and presented to the chief as a great curiosity. It was entirely black yet striped in the manner of the Royal-Tyger, with shades of a still darker hue, like the richest black, glossed with purple. My pencil is very deficient in displaying these mingled tints; nor do I know how to describe them better than by the difference you would observe in a black cloth variegated with shades of a rich velvet." Forbes did a watercolor painting of the subject but it has been lost over time. So where is the proof? Most of the evidence supporting the existence of melanism in tigers comes out of the Simlipal Tiger Preserve. The area has become quite well-known for it's melanistic tigers. Most display what is referred to as pseudo-melanism. 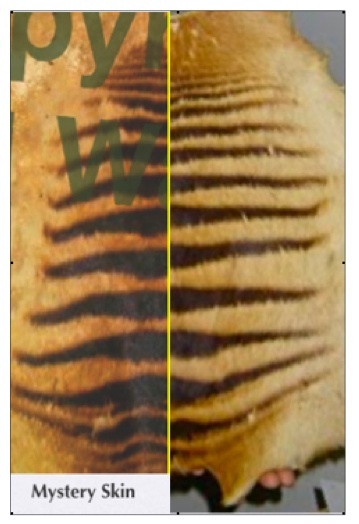 Most tigers exhibiting pseudo-melanism have abnormally wide stripes. The wide black stripes grow together obscuring the usually dominant gold/orange color of the animal. These animals, while not totally black, certainly show melanism occurs in tigers. 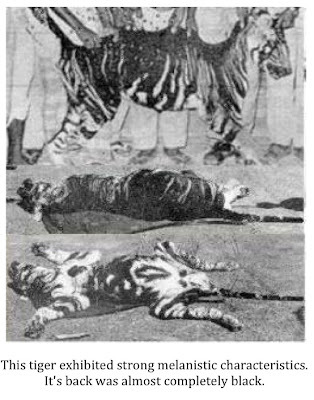 Some examples of tigers exhibiting pseudo-melanism are shown in the photos below. So, pseudo-melanism is possible in tigers but that is a far cry from a completely black tiger, it is argued. It doesn't happen. 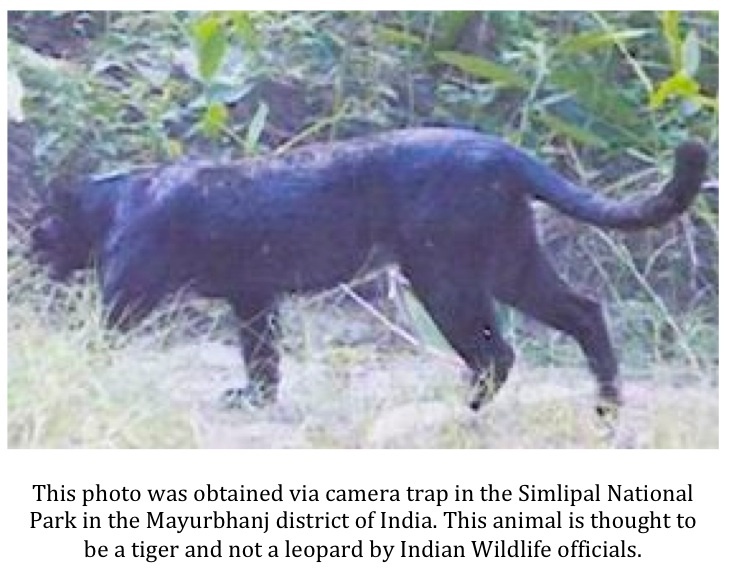 People reporting such are only seeing black leopards or pseudo-melanistic tigers in poor light conditions. To find the answer we go back to Simlipal. In 2007, an article in the Indian newspaper The Hindu documented the existence of three melanistic tigers withing the borders of the preserve. The tigers were documented via camera-trap during a tiger census project. 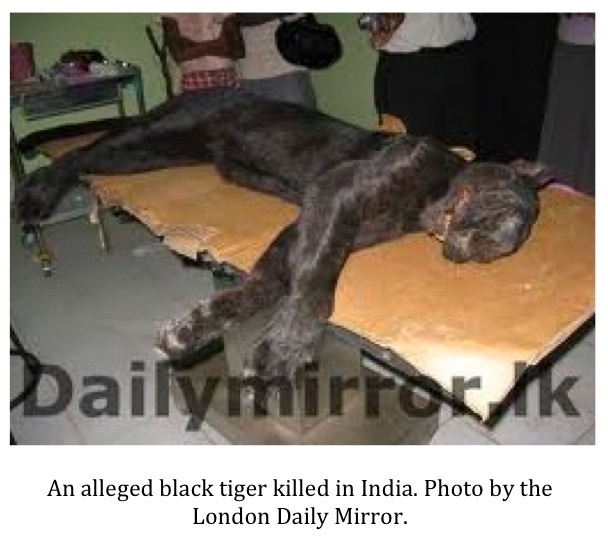 The tigers were described as having a light brown coat with jet black stripes by Chief Wildlife Warden Suresh Mohanty. Amazingly, the existence of melanistic tigers in the park was described as, "usual" by Mohanty. In addition, the former Chief Wildlife Warden for the preserve, Kumar Patnaik, said that black tigers were spotted back in 1993 and again in 2004. In addition, take a look at this video on Siberian tigers. It is rather lengthy but fast forward to the 1:40 mark and hit play. The tiger on the far left is solid black. The cat that is second from the left seems to be exhibiting pseudo-melanism as it's hindquarters look black. The picture above and the video of these Siberian tigers seem to prove once and for all that true black tigers do exist. Yet, wildlife officials here in the states continue to say that black panthers are an impossibility here in North America. Other than jaguars, leopards, servals, and, now, tigers there are no melanistic big cats in the world. What about here in the United States? Of the big cats generally recognized to still live within the contiguous 48 states, cougars, bobcats, lynx, ocelot, and jaguarundi; only the jaguarundi is thought to show melanism. Oops, did I just add another candidate to our list of melanistic big cats? I guess I did. Could another be added? How about the photo below? 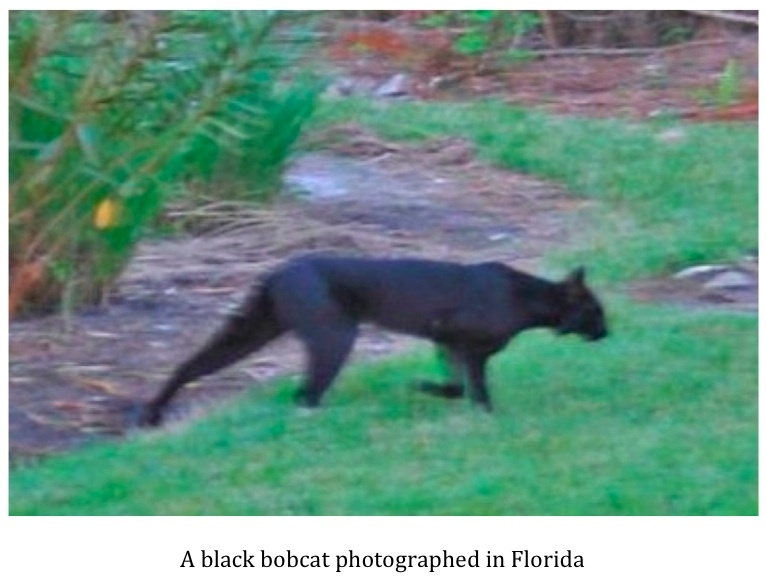 The photo was taken in Florida and shows a melanistic bobcat. So our list of big cats known to show melanism needs to expand yet again. Jaguars, leopards, servals, tigers, jaguarundi, and bobcats all exhibit melanism on occasion. While no melanistic cougar has ever been officially documented is it really an impossibility? Wildlife officials would tell you that is the case. But, I would ask you once again, is this true? Loren Coleman has a very interesting post over on the Cryptomundo website. The post is about the "Rock Apes" of Vietnam. It is very interesting. You can check out the post here. Make sure and read all the comments at the bottom of the post as they are every bit as intriguing as the article. I would like to hear the thoughts of any Vietnam Vets regarding the possible existence of the "Rock Apes" of the Vietnamese jungles. Anyone have any experiences with these creatures? Do you think they are just a myth? See the video below for some of the most idiotic behavior you will ever see. I have no doubt that we will one day be reading about how this woman was mauled, partially devoured, and excreted by a black bear. Check the video below for some of the most asinine behavior ever recorded. While there is a bit of truth in what this lady says regarding bluff charges and the general timidity of black bears one should NEVER push their luck like this. This woman's behavior is just beyond belief. Periodically, people in South and/or West Texas report sightings of giant flying creatures. Sometimes, the animals are described as huge vulture or raptor-like birds; however, some report creatures resembling prehistoric "pterodactyls". It is this latter category of sightings that I'm going to address presently. Could a small population of pterosaurs have survived to the present day and be living in the arid Southwestern region of Texas? 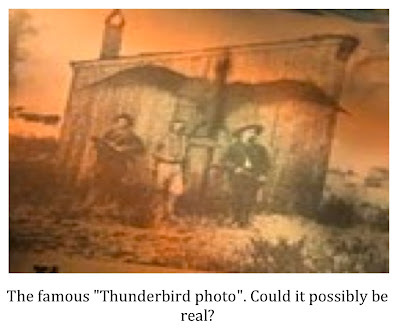 Could these creatures be behind at least some of the thunderbird sightings coming out of the area? 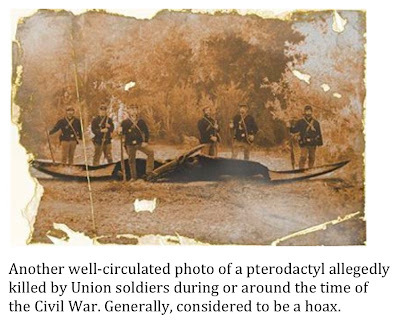 There are some photos that have circulated around the internet for years that suggest the pterosaurs have survived into modern times. Some of these are shown below. Only two photos have really intrigued me at all. 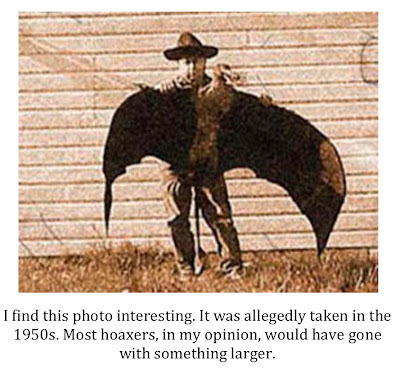 One of these photos shows a rancher, allegedly from the 1950s, holding a small pterosaur-like creature. The other photo I find interesting is the famous "thunderbird photo" which shows a large pterosaur nailed to the outside wall of an old homestead with several men in the foreground. Is it possible? Could pterosaurs still live? 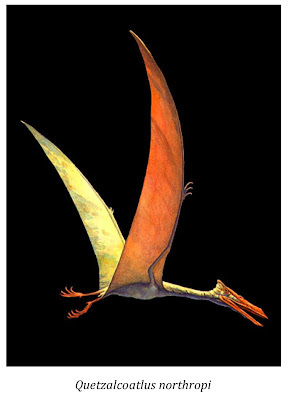 There is a candidate in the fossil record that matches the description given by some witnesses who claim to have seen living flying pterosaurs. Currently, paleontologists recognize the previous existence of four species of giant pterosaurs, one of which that soared in the skies above what would become Texas some 70 million years ago. Quetzalcoatlus northropi is thought to be the largest flying animal that has ever lived. These reptiles were truly massive with 30-50 foot wingspans and heights approaching that of the modern day giraffe. This "Dragon of the Clouds" had a long neck, slender toothless jaws, and a head topped by a large bony crest. This flying beast was slight in build and probably weighed in the 200 lb. range. This is exactly the picture most of us envision when the word "pterodactyl" or "pterosaur" is uttered. Could Quetzalcoatlus northropi still glide above the Lone Star State? Some anecdotal evidence suggests just that. In 1976 two San Benito, Texas police officers, Arturo Padilla and Homer Galvan, reported seeing what was to become known as the "Texas Big Bird". While that might invoke images of the Sesame Street character to most people, rest assured, the creature seen by these officers fit the description of a pterosaur. Shortly after the sighting by the two officers, Brownsville resident Alverico Guajardo had a frightening experience. About 9:30pm he heard a loud thumping noise outside of his mobile home. He looked out of his front door and saw what he described as a bird of monstrous proportions. But was it a bird at all? Guajardo said, "It's a bird but it's not a bird. He paused then added, "That animal is not from this world." Sightings of the "Big Bird" continued and tracks attributed to it were located. The tracks, measuring 12 inches in length were shown on a local television station. The resulting hullaballoo caught the attention of Texas Parks & Wildlife Department personnel who feared endangered whooping cranes might be mistaken for the "Big Bird" and shot. The TP&W issued a simple statement that said, "ALL birds are protected by state or federal law." 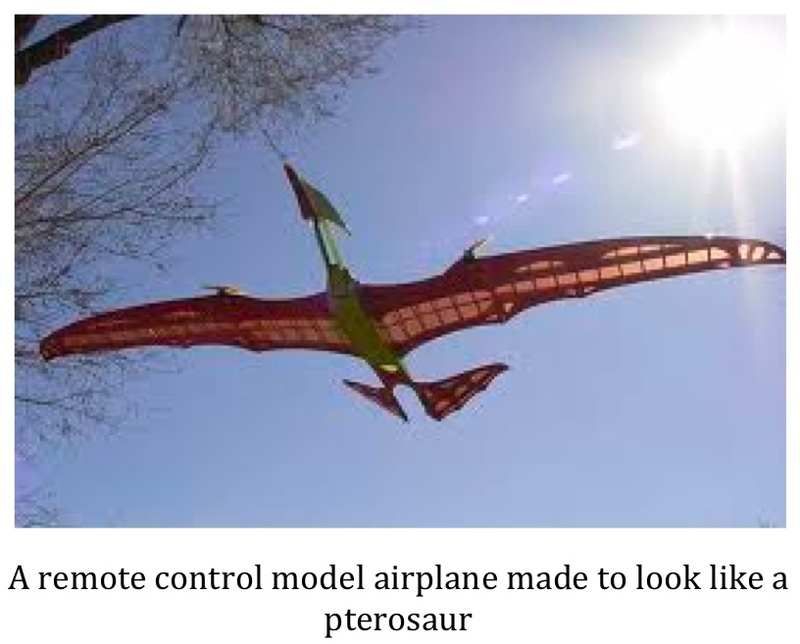 In February of the same year, it was reported that several school teachers were "dive-bombed" by a creature matching the description of a pterosaur on their way to work. They reported the creature's wingspan to be at least 12 feet in length. There are other reports but you get the idea. What are these people seeing? 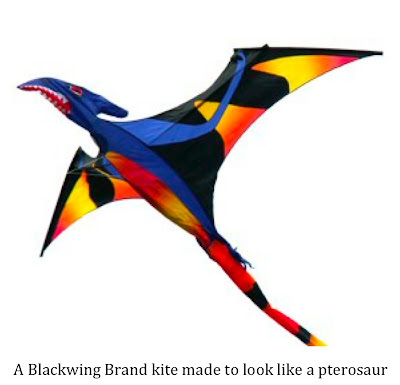 Is there a known animal out there that people could be mistaking for a pterosaur? I think this is very likely the case in many of the reports that describe large vulture-like feathered birds. I had an experience about a year ago when I did a double take initially thinking a massive bird was flying above me. I was out doing some maintenance on one of my game cameras in Central Texas in an area that was heavily populated by black vultures. There were several of these large birds circling overhead. I had paused to rest and was sitting on a log looking up at them when suddenly a bird three times the size of the others flew across my field of vision. At least it seemed the bird was three times the size of the others. It turned out to be a trick of perspective. I was focused on the vultures gliding a couple of hundred feet above me. The "giant" bird, it turned out, was flying considerably lower than these others. I realized this only when I saw this vulture light in the top of a large tree. Just for a few seconds I was taken aback by what my eyes told me was a huge bird. Fine, you may be thinking, tricks of perspective might explain some of the sightings of enormous feathered BIRDS. Pterosaurs don't look like birds. What could explain these sightings. Well, sometimes birds do look like pterosaurs. As has been discussed here before, the frigate bird is a very likely candidate for at least some of the pterosaur sightings. Guest blogger Alton Higgins aptly summed up how this large bird could be mistaken for a pterosaur in flight. 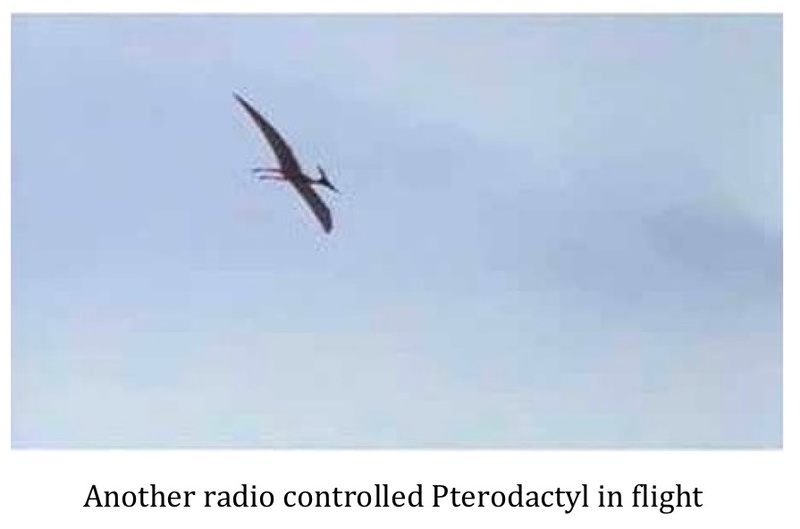 Revisit Alton's post here and check the photos below showing a female frigate bird in flight contrasted to what is purported to be a photo of a pterosaur in Papua New Guinea. As you can see they are all but identical. A person who reports a pterosaur in flight may very well be seeing a frigate bird. But what of close-up sightings like that of Alverico Guajardo? These are more difficult to explain away. Certainly it is possible, if not likely, that hoaxes are being perpetrated in some cases. There are cases out there; however, where witnesses have been duly vetted and, seemingly, have nothing to gain by making things up. What animal could they be seeing that they are mistaking for a pterosaur? Up close no bird looks like a pterosaur. What about a bat of some kind? The wings of a bat are similar to what a pterosaur's would look like in that they are bare of feathers/hair. Bats in Texas are small, however, and no species would be big enough to be mistaken for a pterosaur. 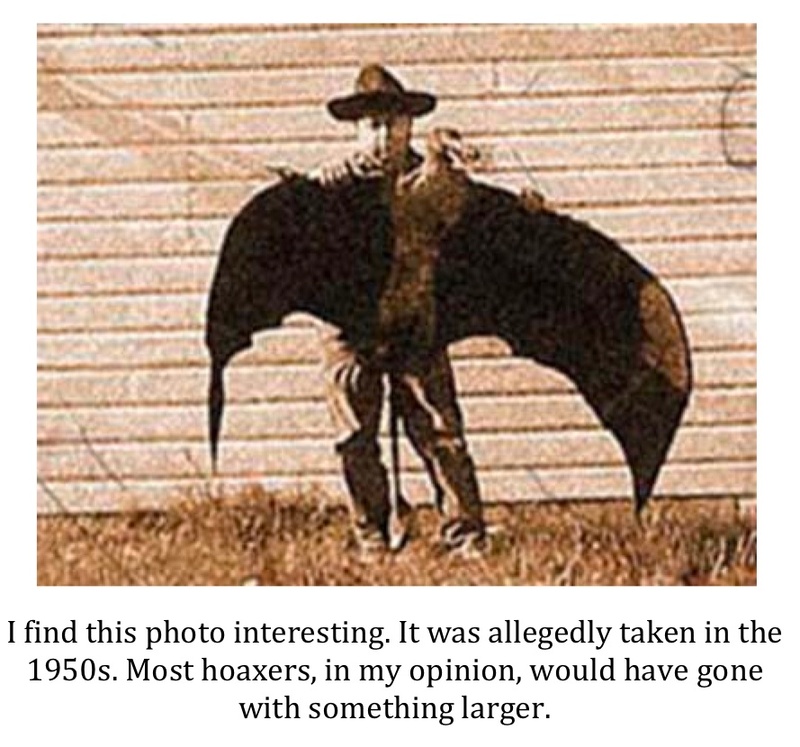 The largest bats in the world, the flying foxes, have wingspans of only 6 feet or so and are all found in other parts of the world and, therefore, not candidates for Texas pterosaurs. What about some man-made aircraft? Standard sized airplanes are certainly not candidates for misidentification. That being said, ultralight aircraft have become very popular over the last couple of decades. The term ultralight refers to any one of several types of lightweight one or two person airplanes. The craze took off in the 1970s when many were looking for a cheap way to fly. 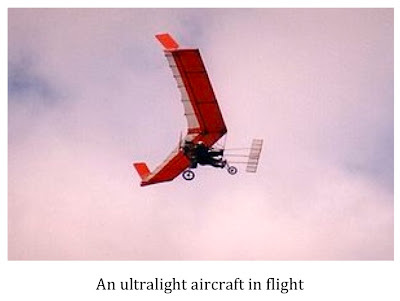 In Texas, and most of the U.S., no license or training is required to fly ultralights. 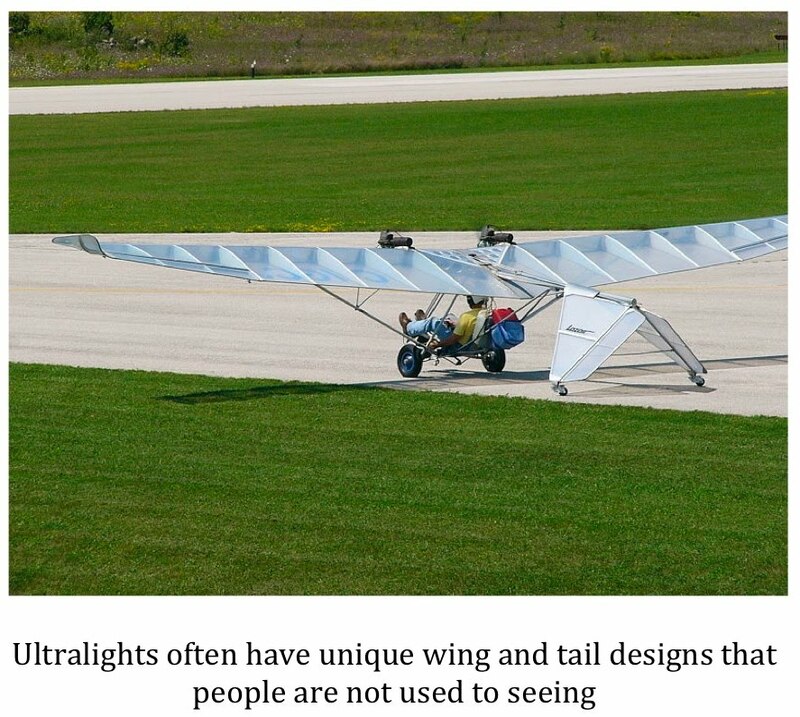 There are several different types of aircraft that share the ultralight designation, several of which that could conceivably be mistaken, at a distance, for a pterosaur. This possibility is further enhanced now that battery powered ultralights are becoming more common. These aircraft are virtually silent and eliminate the buzz of the small gasoline engines common to older models. Most would not expect an ultralight to fly silently and jump to another conclusion. This prehistoric predator has great presence in the sky with a huge 11 foot wingspan. It's 3-dimensional body and tail both inflate and it's wings actually flap in the wind! Recommended 150 lb. Test Line, sold separately. Product size 11 ft x 15 ft. It isn't too much of a stretch to think a kite with an 11 foot wingspan and wings that actually flap could hoodwink some people. Finally, there are several radio-controlled airplanes on the market that mimic the look of pterosaurs. Check the video out below and the pictures below that. Again, one can imagine how easily a person, not expecting to see something like this, could be totally taken aback and think they saw a real animal. 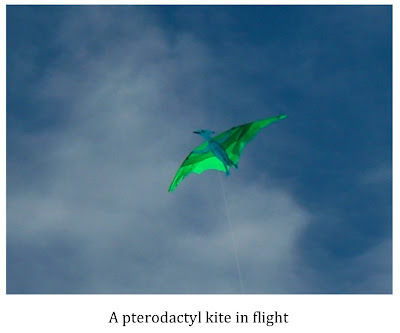 Frigate birds, ultralight aircraft, kites, and model airplanes. 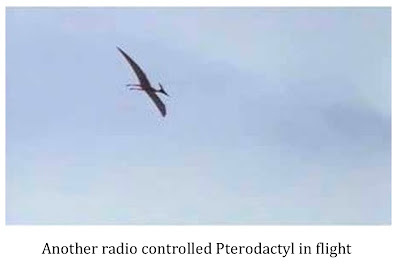 Do these things explain away all pterosaur sightings? No. I do believe they could explain some, however. These are just some of the possibilities that need to be investigated when a witness reports a pterosaur sighting. Personally, I have a hard time buying into the ancient pterosaur as an explanation for modern day thunderbird sightings. Now I do have some thoughts on whether or not giant birds; true, feathered birds, might fly the skies of Texas and other parts of the world. 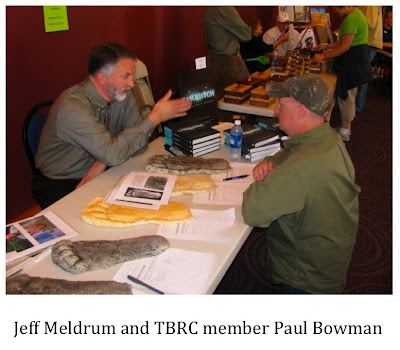 Check out the latest sasquatch report submitted to the TBRC. This report comes out of Oklahoma near the South Canadian River and was investigated by my friend Paul Bowman. I welcome any and all comments; however, I will not post any comments that include inappropriate language. I'm not a prude by any means but there is enough ugliness in the world already and I'm just not going to play that game. This is my site so my rules will be followed or your comment won't get posted. If you don't like that then start your own site. Simple. Don't get me wrong. I am not saying that if you don't agree with something I write that I won't post a comment expressing disagreement. That is absolutely not true. I'm saying there is a way to get your point across without resorting to profanity and crudeness. For example, if you don't think there is any such thing as a black panther you could say something along the lines of, "I don't believe any such animal exists. The people reporting these animals are either mistaking a known animal or pulling your leg." That comment would be posted. If you simply say, "Bull#@$%," that comment will not see the light of day. I realize that my rules require the use of a vocabulary that goes beyond four letter words. I, too, realize that this requirement is just going to be too much for some out there to deal with. These are not the folks I want on the site anyway. I make every effort to live my life in a positive and joyful manner. Life is too short to put up with jerks and I'll not allow those who act this way to have an outlet for hatefulness on this site. I had the pleasure of attending the 10th Annual Texas Bigfoot Conference this past weekend in Tyler, Texas. There was truly a who's who of speakers that included Dr. Jeff Meldrum, Jimmy Chilcutt, Bob & Kathy Strain, Chad Arment, Daniel Falconer, Alton Higgins, and Daryl Colyer. Also present were the producers from the upcoming feature film "Skookum". 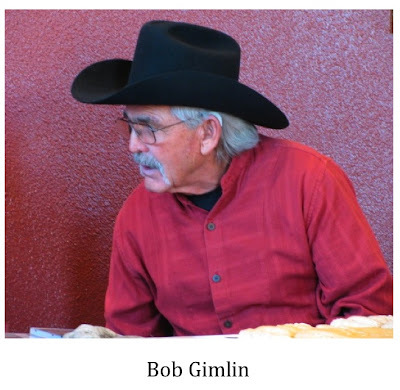 The absolute highlight of the conference; however, was the talk given by Bob Gimlin at the banquet Saturday evening. Bob Gimlin, as most people interested in cryptozoology know, was present when Roger Patterson captured footage of what many people believe to be a sasquatch at Bluff Creek, California back on October 20, 1967. The footage has become quite famous and the subject of endless debate as to whether or not it is authentic. The basic circumstances surrounding the film are well known and have been well documented in many books on the subject so I won't recount all that here. As Mr. Gimlin gave his account of the incident, several tidbits captured my interest. These are the details I would like to share with you now. Mr. Gimlin told how he and Patterson rounded a bend in Bluff Creek and came upon a large hair-covered bipedal creature that was standing beside the water. Patterson's horse began "acting up pretty good" upon seeing/scenting the creature causing a delay in Patterson being able to retrieve his video camera from his saddlebag. Once he had the camera running, Patterson ran over the uneven ground toward the creature. A combination of running while looking through the small viewfinder and the uneven debris strewn creek bed caused Patterson to stumble and fall to his knees. He then called out to Gimlin, "Cover me," and moved forward again before steadying the camera by propping himself up against a fallen tree. After regaining his composure and steadying his own horse, which did not act up nearly as much as Patterson's, Gimlin galloped across the creek, removed his rifle from it's scabbard, and dismounted. According to Gimlin, it was at this moment that the creature turned and looked back. This moment is captured in the iconic frame 352. Gimlin inferred the look meant, "That's close enough." The next thing that was interesting was how Gimlin described the immediate aftermath of the sighting. As the creature walked into the forest and up a steep embankment Gimlin and Patterson gathered themselves. Gimlin said, "I wanted to follow the creature...to see it again." Patterson was against that idea, however. It is this reluctance to allow Gimlin to follow the creature that has fed some conspiracy theories over the years. Mr. Gimlin explained it pretty simply. According to his account, Patterson said, "You're not gonna follow it and leave me here with only an empty camera...what if the other two show up?" This was a reference to a track find the pair had investigated near a construction site two weeks before. Tracks of three different individuals were identified at this site. Patterson was concerned that the creature they had seen was one of these three individuals that, seemingly, were traveling together. In addition, as has been documented before, Patterson's horse had fled the seen once he had dismounted. If Gimlin had pursued the creature it would have left Patterson in a very vulnerable position if, indeed, there had been additional animals present. The explanation makes perfect sense to me. Next, Mr. Gimlin described some of the observations he and Patterson made regarding the trackway the creature had left behind. The dimensions of the feet themselves, as revealed from plaster casts and measurements made at the site, are easily accessible to anyone who is interested so I won't go into that. I was, and always have been, more interested in the stride length of the creature. Gimlin said the length of the stride from toe to heel varied from 42"-46". This indicates a very large individual made the track way. Keep in mind that the creature was walking, albeit briskly, and not running. I stand 6'3" in height and my stride length on a flat surface is 29"-31" when walking briskly. What I hadn't heard before is that the stride length changed once the creature was out of site of the pair. 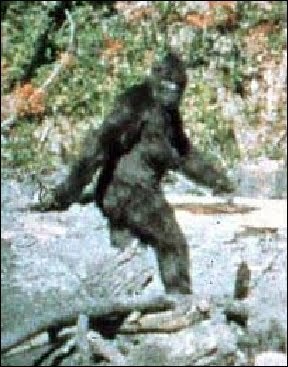 Gimlin stated that, based on prints found at the site, the stride increased to over 60" in length shortly before ascending the embankment. Gimlin speculated that the creature started to run at this point. You are all capable of doing the math but let me say this anyway...that is a 5 ft. stride. All of these numbers were verified later by the likes of Bob Titmus, John Greene, et al. The stride length of the creature is the number one reason I believe the footage is genuine. Forget, for a moment, about ape suits, film speed, conspiracy theories, and everything else. Simply put, a man in a suit can't take strides of that length while walking as smoothly and fluidly as the creature in the Patterson-Gimlin footage. It can't be done. On a different note, why would the creature begin to run only once it was out of site of those it perceived as a threat. Why did it not bolt right away? It is a valid question and one for which I don't have a great answer. Mr. Gimlin speculated the creature, obviously female, might have been trying to lure the pair away from another animal, possibly a juvenile, that might have been hiding on the opposite side of the creek much like a bird will attempt to do when a predator of some sort threatens it's nest. This might also explain the looks back by the creature. Maybe the animal was looking back to see if Patterson and Gimlin were following her. Once she was satisfied they were occupied with her, she continued walking until out of sight. Once out of the range of sight, maybe she picked up her pace to protect herself and possibly double back across the creek at a point further away to rejoin her offspring/companion. It is an interesting theory. I don't know if any other primates exhibit this behavior in order to lure predators away from their young or not. I am going to attempt to find out, however. Toward the end of the evening Mr. Gimlin took some questions from the audience. One gentleman raised the question of Bob Heironimus and his claim that the whole thing was a hoax and that he was the man in the suit. The questioner was respectful and, to paraphrase, said, "I've heard the claims of Bob Heironimus and he comes across as believable. I've heard your claim that it was only you and Roger Patterson present that day. You also come across a believable. Can you please, once and for all, clear this up as I don't know what to believe?" As you might imagine, this created some tension in the room but not with Bob Gimlin. Mr. Gimlin calmly asked the questioner to step up to the stage. Once the gentleman had joined him onstage, Gimlin asked him his name and shook his hand. Gimlin asked the man to tip his hat back a bit (he was wearing a baseball cap) so he could see his eyes. Gimlin then tipped the brim of his cowboy hat back so the questioner could look him square in the eye. He then said, "Look at me now...there were only two people present at Bluff Creek that day. Those two people were Roger Patterson and me." It was quite a powerful moment and the room erupted in spontaneous applause, I believe, as much for how Mr. Gimlin handled the moment as for the answer he gave. Again, I salute the gentleman who asked a tough and uncomfortable question. He did it in a very respectful manner and received a calm and respectful response. I couldn't help but think of Tuesday's elections and think the politicians in our country could learn something from this exchange. The entire conference was great but the chance to hear Bob Gimlin tell the story of what happened that fateful October day in 1967 was truly a once in a lifetime opportunity. 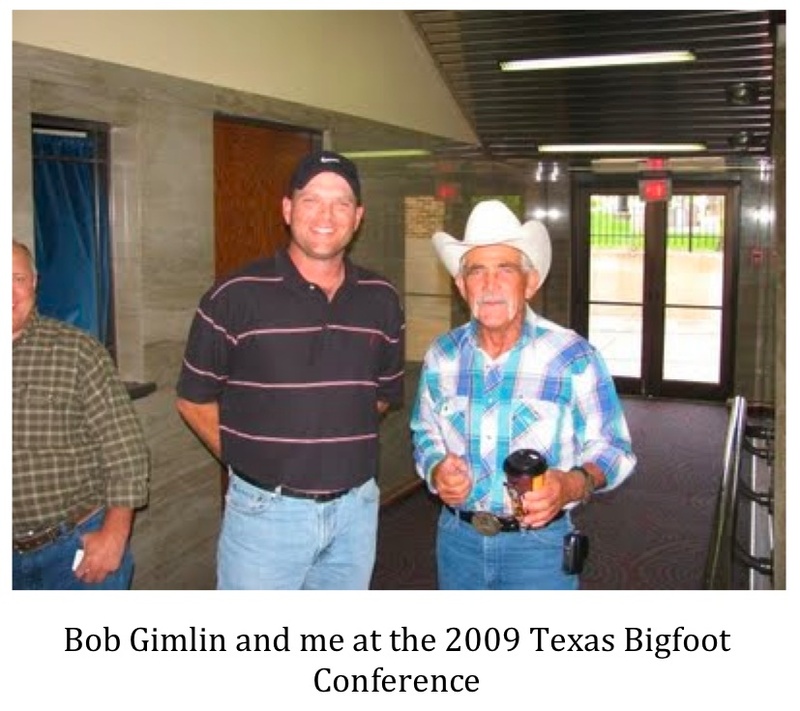 Each time I meet Bob Gimlin I come away more impressed with his character. 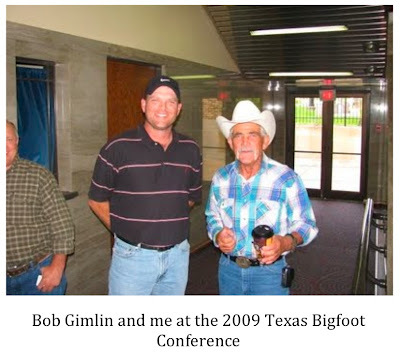 My friend, and Chairman of the TBRC, Alton Higgins summed it up nicely when he said, "If anyone is qualified to give 'man lessons' it is Bob Gimlin."